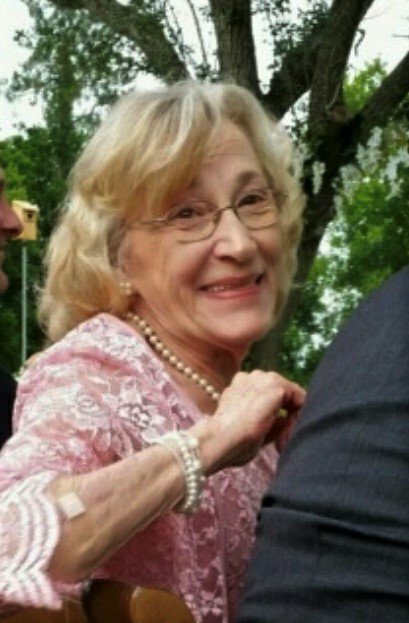 Sheryl D. Franks, 74, passed away at her home in Southaven, Mississippi March 26, 2019. The visitation will be held Friday, March 29, 2019, at Trinity Baptist Church (2101 Colonial Hills, Southaven, Mississippi 38671) from 11:00am until 1:00 PM with a memorial service immediately following. Sherri was born and raised in Cedar Rapids, Iowa and obtained a Paralegal Degree from Coe College and Iowa State. She worked for many years as a paralegal, but the highlight of her career was her tenure with the 17 Judicial District Attorney’s office as the Victim Witness Coordinator for more than 20 years. Sherri desired to reach all of her victims, and even took four years of Spanish to improve her communication skills. Her passion for helping people was recognized when she received the Good Samaritan’s Award in 1993, and the Amy Clayton Justice Award in 2007. In 2009, a grand celebration to recognize her retirement was held in a most appropriate place, the courtroom. Sherri was a member of Trinity Baptist Church and her devotion to Jesus Christ was always on display as she was an active member of her Sunday school class and the choir. She also loved volunteering with Memphis Union Mission, and Sunrise Home (now Impact Mission) where she mentored several young girls. But, she treasured the time she spent with her daughters and grandchildren most of all. She attended every band concert, play and sporting event and was known by many as “Baseball Grandma”. Sherri was preceded in death by her parents Vermil and Maryann Shaffer, and her husband Mr. James Russell Haufle. Survivors include her daughters; Laura Christine Hart, and Rhonda Lynn Fowler (Jeff), four grandchildren; Margeau Elizabeth Eddington (Amanda), Alexandra Lyndee Carpenter (Kelly), Steven James Fowler (Cara), and Andrew Nathan Fowler (Anne Marie), her dog Buddy, 2 siblings; Kathy Bruening, Steve Shaffer (Mary), her sister in law Arlene Newman (Cliff), and a host of nieces and nephews. In lieu of flowers, memorials can be made to Trinity Baptist Church (2101 Colonial Hills, Southaven, Mississippi 38671). A visitation will be held Friday, March 29, 2019, at Trinity Baptist Church (2101 Colonial Hills, Southaven, Mississippi 38671) from 11:00 PM until 1:00 PM with a memorial service immediately following. I didn’t know you, but I know your daughter Rhonda and she is a jewel and if you raised her then I know you were special as well.. I know your presence will be miss.. May God wrap his loving arms around your family and give them comfort.love you Rhonda and praying for your family. Sherri was the sweetest, most fun-loving lady, always a joy to be around. She loved life and she loved her family. Her presence will be so missed.